This Swedish company started in 2001, and originally focused on superb quality denim clothes, particularly jeans. Denim is indeed one of fashion’s most versatile and durable fabrics. The weft (horizontal thread) is woven under two or more warp (vertical) threads, which not only increases thread density, but also results in denim’s characteristic diagonal rib. The rib and weave together enable the fabric to withstand an incredible amount of wear. In the 1980s it became trendy to wear beat-up denim, with many of life’s wonderful stories told by the faded, patched, torn and overall well worn denim clothes from this era. 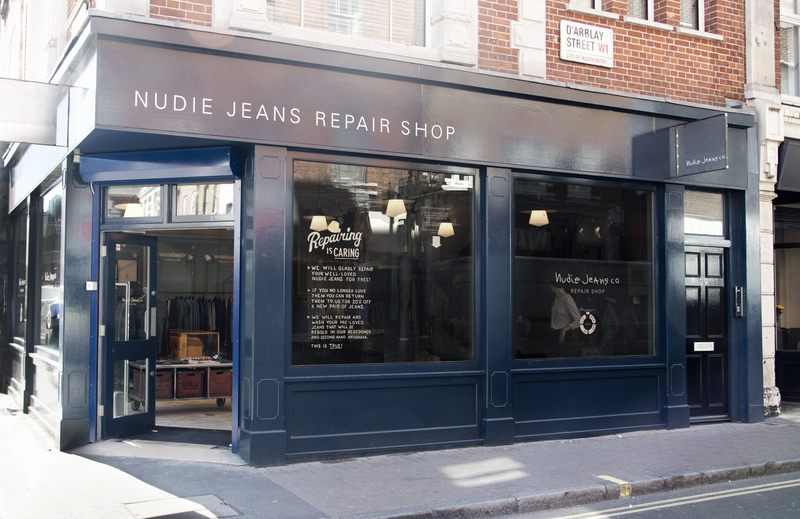 Although distressed denim was soon hi-jacked by high-end retailers, the concept itself remains popular till today, and is at the core of Nudie Jean’s clothing philosophy. With a large proportion of fashion’s impact on the environment coming from the industry’s constant need to supply new clothes, any garment that lasts is a step in the right direction. Environmentally and fashionably, of course! Nudie Jeans has a few interesting ethical initiatives, like their commitment to 100% organic cotton. Personally I’m well entertained by the interactive global map of all their production processes. For this post however I’m most impressed by their free repair service. The brand has dedicated repair stores around the (first world) globe, and prominently displayed repair stations in many of their retail outlets. While being an obviously advantageous business service for the purchaser, this focus helps make repaired clothing more trendy. For those of us hanging out in (deceptively) sunny South Africa, they’ll ship you a free repair kit…which you should probably just bring to me before you loose an arm. I’m more than a little in love with their running counter of repaired jeans (hit the ‘free repair service’ image on this page). And at the end of the day, however demonically capitalist the fashion industry is, the only thing that’s going to have any real impact is changing consumer behavior. It’s refreshing to find a brand taking environmental issues to heart in such an active way. If humans are to survive our impending global climate catastrophe in any style the industry is going to have to transform. And encouraging consumers to have longer relationships with their clothing is definitely an important place to start. Unfortunately I indebted myself on a spending spree at the Brooklyn Men’s Pop Up Shop recently, so I’m unable to give you a proper review of any of Nudie Jeans’ clothes until I sell some more crack. Though it’s no entirely clear whether non-denim garments have the same repair warranty. 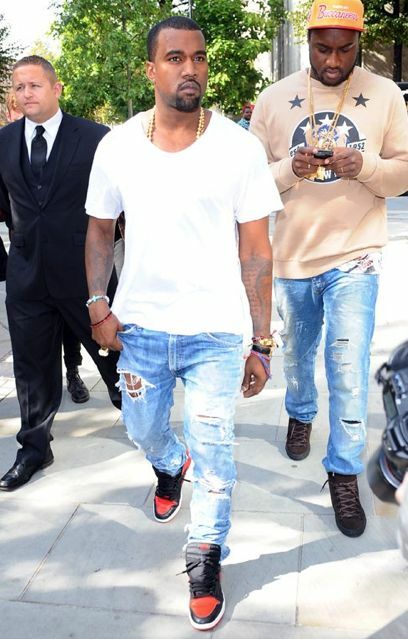 I’m also fantasizing about these jeans, since my favorite pair has (eventually) reached the stage of no-patch-could-possibly-make-this-safe-to-wear-in-public.